Well, it's official. 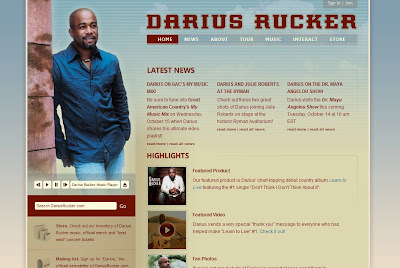 Hootie and the Blowfish's frontman, Darius Rucker has gone country. And in a big way! According to his website, his first country solo album LEARN TO LIVE took the #1 spot on the country album chart the same week his debut single, "Don't Think I Don't Think About It" grabbed #1 on the singles chart. on your voice mail around 4 a.m.